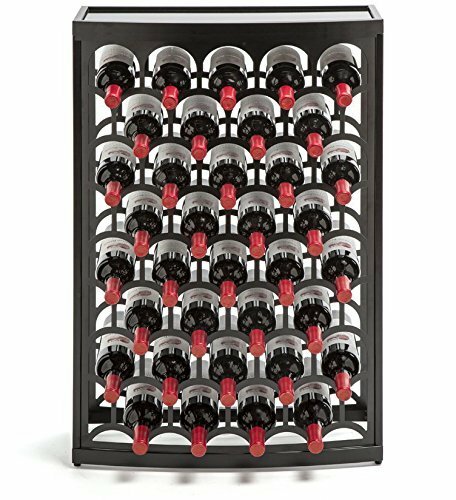 Inspired by the historic London Stone, the Art Deco Wine Rack will help you leave your mark on history as an individual with impeccable taste for wine racks. Solid steel body safeguards your wine. Tempered glass top holds everything else. Flexing face panels add elegance and depth. Fits most champagne bottles, for the times you're feeling fancy. Can be assembled in two distinct ways, because why settle for just one? Floor levelers make your rack not tipsy.